Cheong fun is a dish associated with dim sum. It’s normally found side-by-side with some of the more popular dim sum dishes like har gow, sui mai and char su bao. In Hong Kong, these long rice noodle rolls filled with beef or pork or dried shrimp (chicken, fish ball, lap cheong, vegetable) aren’t just limited to a component of a larger dim sum meal, but also served as snacks or small meals. And that’s what Sun Hing Lung Co. does. 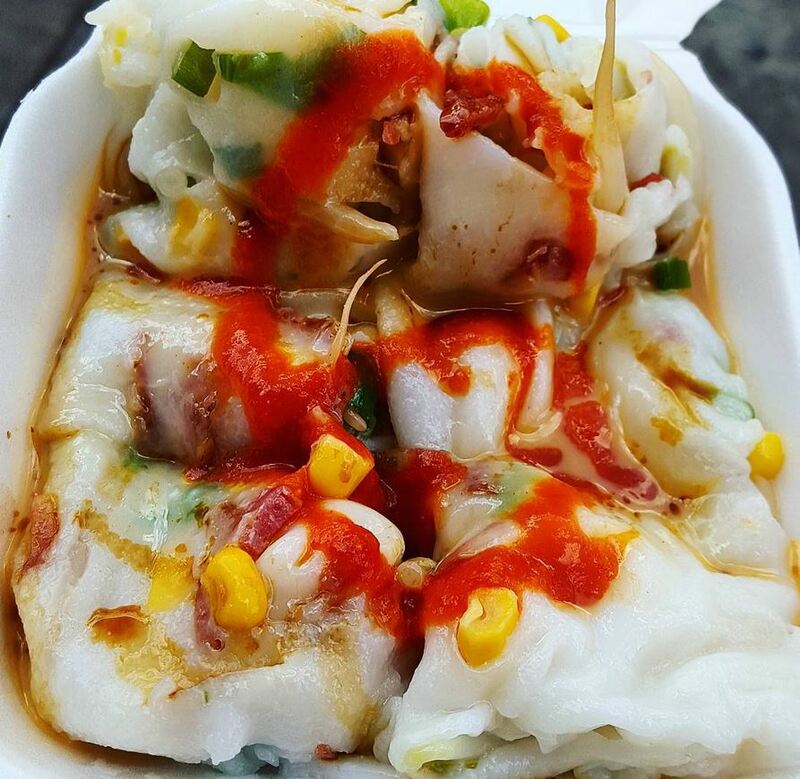 Though Sun Hing Lung’s primary business may be producing tofu, the little storefront in Chinatown near the Manhattan Bridge is best known for serving delicious and affordable rice noodle roll out of store’s large takeout window. 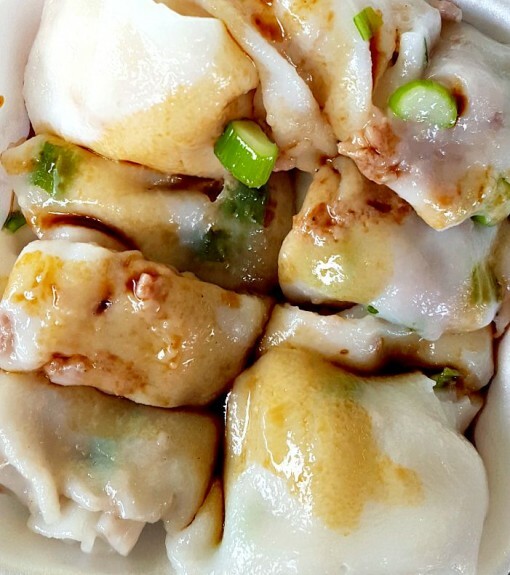 Though Sun Hing Lung creates tofu in the back, offers up dumplings on their menu and makes a good soy milk, make no mistake that Sun Hing Lung is renown for their variety of the delicious rice roll dishes. Here’s the kicker — the rice rolls are just $1.50/order, so depending on how hungry you are you can easily walk away full for less than $5. And each cheong fun is made fresh-to-order so peek over to watch the rice flour batter with your choice of filling spread across a tray and placed into a metal steamer. After a couple minutes the hot sheet is pulled out, cut, and folded into a Styrofoam container. Add some of their sweet soy sauce, hot sauce, peanut sauce or combination of them all. I find that you can’t go wrong with their peanut sauce. The presentation isn’t what you’d expect if you’re used to cheong fun from a dim sum joint where the rolls are actually rolled. At Sun Hing Lung, they’re more folds than rolls, but make no mistake that the flavor is there, if not better than most dim sum lounges. Sun Hing Lung isn’t well-known, but it’s not a big secret either; it has been named to numerous lists of New York’s top cheap eats, including The Village Voice and Serious Eats. Be aware, Sun Hing Lung doesn’t hold regular hours; they close shop everyday by 3:30 PM, so plan accordingly.